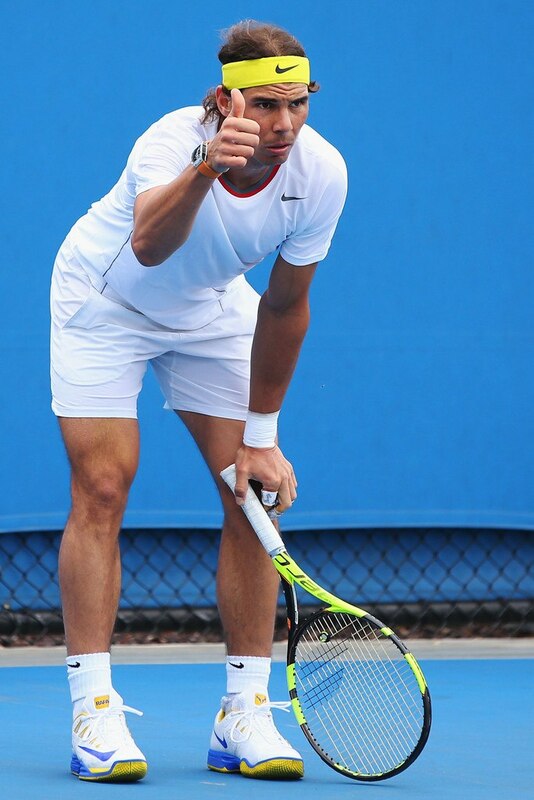 Rafael has given an encouraging start to the year 2016 showing very decent tennis at the exhibition event in Abu Dhabi. But then the problems arose. At the year opening tournament in Doha Nadal has hardly advanced to the final where he suffered an emphatic defeat to Novak Djokovic in straight sets. By and large, the losses to the Serb must have become a severe headache for the Spaniard. Taking into account the fact that Djokovic keeps increasing his dominance on tennis courts of all types, Rafa has to introduce something completely new to his tactics and style to be more competitive against Novak. On the other hand, it’s not quite clear what exactly has to be changed. The most recent trend in tennis is to employ highly aggressive play. This approach isn’t completely new, but the world’s top players like Djokovic, Federer and Wawrinka have brought it to perfection. So nowadays this tennis style proves to be the most efficient and competitive one. But it isn’t that easy to change the habitual playing patters. For example, it took Roger Federer about two years to adapt overaggressive tennis with constant comings into the net. Only then it started to bear fruits and the legendary Swiss got back to the tennis elite with real chances to lift any title. As for Nadal, he seems to have stuck in the mid of the way. It seems like the Spaniard does his best to stay in tune with the times and play attacking tennis to stop getting defeats from the top rivals: Djokovic, Wawrinka and Federer. But what is really concerning is that this style is not typical of Nadal. It’s like fitting on the shoes which are too tight for him. The outcome isn’t impressive as we see. The opening-round exit at the hands of his fellow Fernando Verdasco at the Australian Open 2016 is a prove. "I know that I'm doing everything right. The work has been done,” continued the 29-year-old. “The defeat on Tuesday doesn't change that. I am well and I hope to continue like this moving forward”. It was Rafa’s statement on the post-loss conference. But these are only words. Analyzing that defeat, we came to the conclusion that the problem is much more serious than it seems to be at first glance. Logic suggests us that Nadal has to hit Verdasco off the court under any circumstances. It was long time ago that Fernando showed more than 70% of his overall potential. Perhaps, Rafa finds it sympathizing to make flattering remarks about his opponents, but the frequency of such statements makes us think that it’s not Rafa’s opponent displaying awesome tennis. It’s Rafa losing his former glory and coming up short in the most crucial moments. Whatever the Spaniard says about hard-fought matches and exhausting trainings he must be realizing that rare failures has become quite natural. The Mallorcan bull and his lifelong mentor uncle Toni counted greatly on the Australian Open and such an early exit should be extremely disappointing to the Spanish team. Now let’s have a flash back to the South American tournaments. Nadal suffered two semifinal defeats: to the eventual champion Dominic Thiem at the Argentina Open and to the unseeded Pablo Cuevas in Rio de Janeiro. In both of the actions the Spaniard was considered to be a pre-match favorite and both of them he lost which is a clear sign of Rafa’s mental inconsistency as there is no doubt that Nadal is physically stronger than the abovementioned opponents. And the question is: will Nadal manage to overcome his psychological issues to produce his top tennis at the Roland Garros? As for us, that Nadal is a bumped-up player. He plays well when there’s a tough challenge. But now the problem is a bit different. Rafa isn’t an underdog anymore, he’s a favorite and everyone expects him to display his amazing tennis. Probably it’s worth going under to touch the bottom and to start climbing the way back to the top. But is there enough time to bounce back once again? After all, we’ve to find the origins to the compound problem. Why has the inevitable decline started? Going back to the year 2013, Nadal was hitting winners back and force. But then something broke down. We suspect that Rafa has some health issues he doesn’t want to make public. At least, this would be a logical explanation to the drastic change of his playing level. Previously it was Nadal’s knee issues that threatened to derail his career. And despite the announced recovery, such surgeries always leave a trace, namely the movements lose their sharpness and an athlete becomes less “explosive”. Both of the consequences may have significant impact when talking about professional tennis: even a minimum deviation of the norm may result in the key components decrease. The 10% drop in focus and sharpness can bring about 30% decrease of the on-court mobility and overall performance. In our view the main question is whether knees still trouble the Spaniard and impact his footwork. If the answer is no, it’s useless to change anything as Rafa won’t be able to take advantage over Roger Federer and Novak Djokovic using attacking techniques. Rafa’s trademark is the old-fashioned unbreakable tennis which is hardly to break. Honing and bringing it to perfection is Rafa’s only way to the top. We’re not talking about regaining dominance but rather about finding the most effective solution. But if the answer is positive and physical problems are still there, adapting to the attacking tennis may be worthy as in the case with movements decrease Rafa will be easily broken not only by the top opponents but by such guys as Dominic Thiem, Pablo Cuevas and Fernando Verdasco. If so, Nadal will never triumph again. The game today is very different from a decade ago. 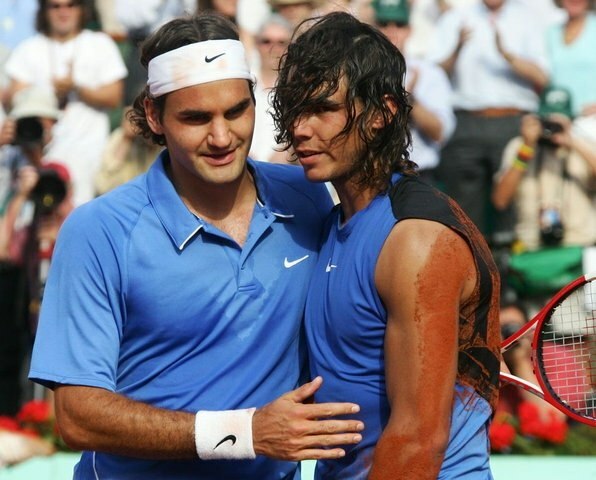 Embracing a more aggressive tennis style, will Nadal be capable of creating numerous attacking opportunities like Federer, Raonic, Wawrinka, Nishikori, Djokovic and many other do? Looking closer to these guys you’ll see that they use all their accuracy and consistency to attack from the very start, from serving point. Can Rafa be as good as they are? Definitely, not. The men’s tour has undergone significant change in respect of the lefties. The times of the heavy topspin groundstrokes and backhand trademark are gone. The evolution of tennis gave way to the new generation of players, whose backhand is more dangerous than forehand: Benoit Paire, Kei Nishikori, Andy Murray, Novak Djokovic. The players have also learnt to solve the left-handed rivals, especially their serving riddles. As for Rafa, he has always relied on the topspins rather than on his service play. Now the players have learnt to return the lefties’ serves which resulted in a small number of short balls and easy winners. So the offensive tennis is a good and profitable thing if you have a base for it.